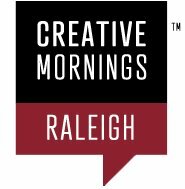 CreativeMornings is a monthly speaker series and morning gathering of creative types. Each event includes a 15-20 minute lecture, followed by a 20 minute group discussion. The gathering begins at 8:30am with the topic presentation starting at 9:00am and everyone taking off for work at 10am. CreativeMornings are free, but you must pre-register to reserve your space through the Eventbrite link below.